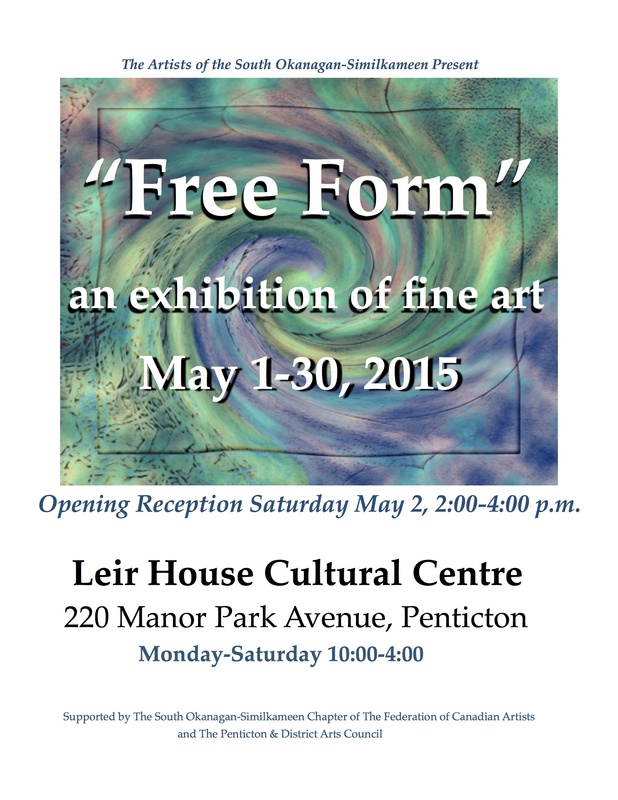 Members of the local Chapter of the Federation of Canadian Artists (Artists of the South Okanagan-Similkameen) present “Free Form”, a group show of fine art at Leir House in Penticton, May 1-30. There will be an Opening Reception on Saturday afternoon, May 2, from 2:00-4:00 pm. Everyone is invited, and the artists will be present.